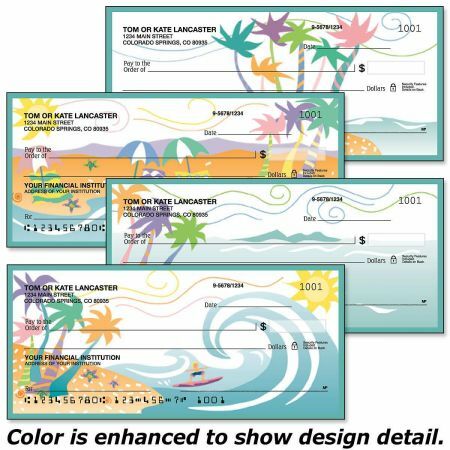 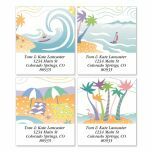 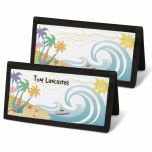 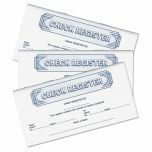 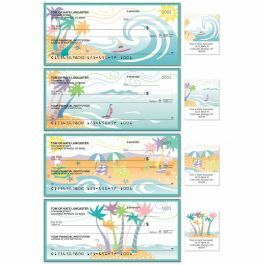 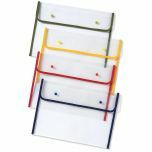 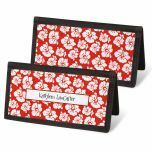 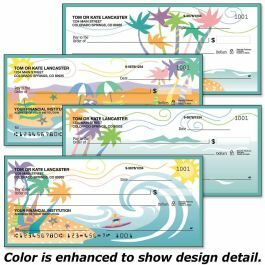 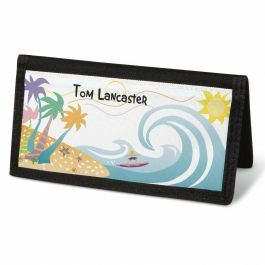 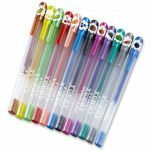 Beach illustrations are the background to this full-color personal check assortment, featuring 4 colorful designs. 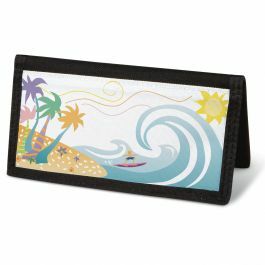 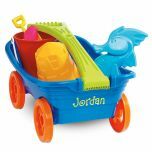 Catch the big wave and surf right on in to the beach! 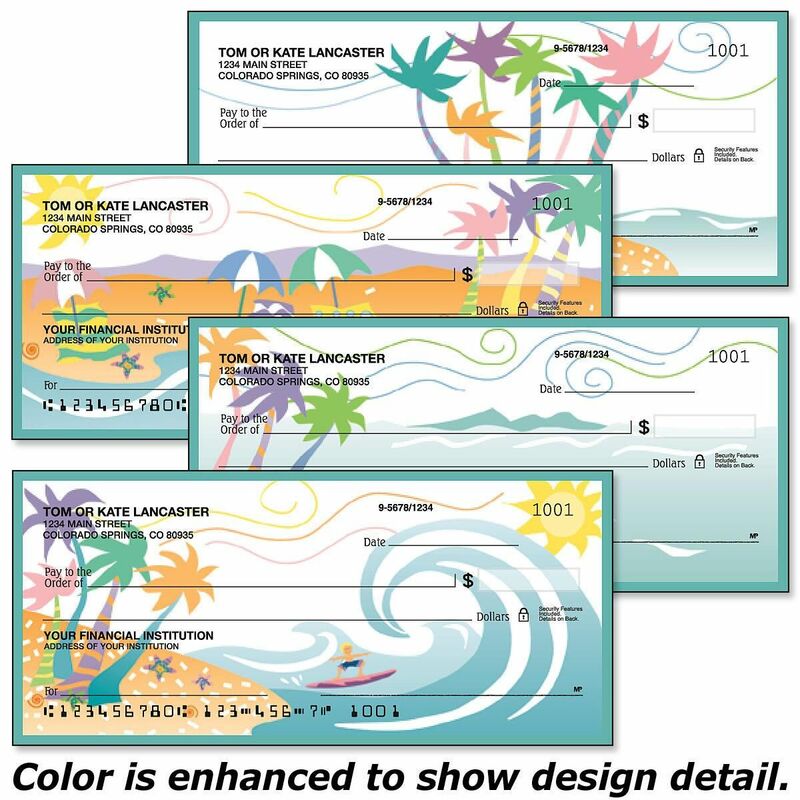 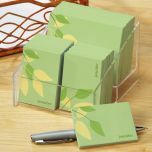 Fun tropical illustration matches one of your checks and will put you in a sunny mood.